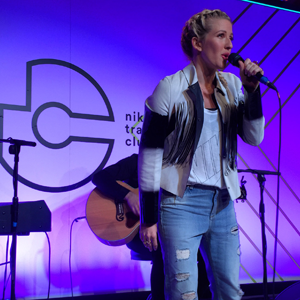 Pop superstar Ellie Goulding has proved she is more than just a chart-topping diva with the launch of her 15-minute workout for the Nike+ Training Club app, and Sportsister’s Natalie was in London for an exclusive first look. 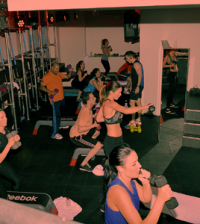 Although incredible vocals from Ellie’s private gig threatened to steal the show – the main event was the workout, specifically designed to tighten and tone with specially selected drills aimed to improve core stability and explosive power. The Nike+ Training Club is your very own personal training app designed for women. Choose from over 100 workouts by Nike Master Trainers and get motivation from your friends with the interactive tools – and the best thing is that the app is completely free. 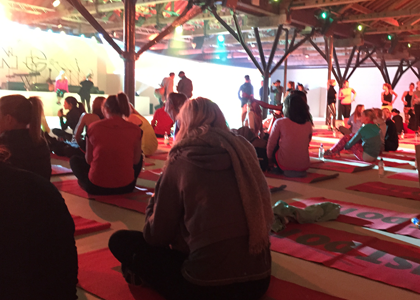 Ellie Goulding has joined the ranks of the Master Trainers and she more than proved her worth at the launch event in Tobacco Dock. This pop princess certainly isn’t scared of a burpee. The evening began with a stunning performance of some of Ellie’s biggest singles including the number 1 smash Burn and the latest single from the 50 Shades Of Gray soundtrack, Love Me Like You Do. 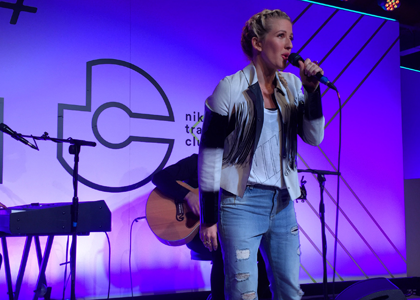 Despite claiming she was shy performing for such an intimate audience, the way Ellie carried herself on stage and stormed through her hits proved quite the opposite. The sporty, Nike-clad crowd of around 100 women screamed for an encore, but Ellie accused us of putting off our workout and headed backstage to get changed. 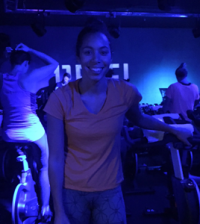 After she reemerged head-to-toe in the latest Nike gear and told the crowd to switch on their Nike+ Training Club apps – it was time to get to work. Ellie’s 15-minute workout is ideal for an early-morning or lunchtime gym session when time isn’t on your side. You don’t even need to be in the gym. 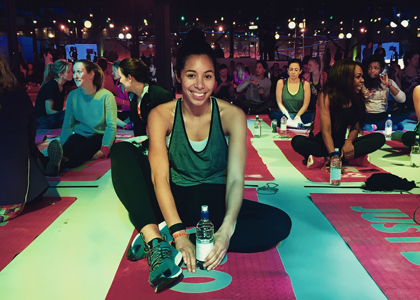 Using body-weight exercises and Ellie’s favourite high and low-intensity drills, all you need is a space to work. These drills are repeated three times with recovery sessions in between. 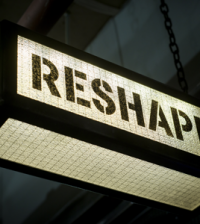 The benefits of the app are that the short, sharp bursts of cardio are fantastic for building your stamina. Also the mixture of strength work and cardio work ensures that you receive a full-body workout. Burpees and scissor squats are great for explosive power helping you build on your elevation and sprint speed. The scissor kicks and planks really engage every abdominal muscle to enhance your core stability to improve your balance and ability to turn quickly and securely in sport. Personally I would prefer a few more different exercises, the repetition gets slightly tedious – it would be better if each new set was a slight variation – e.g press-up burpees or squat jumps. You can set the app to play the music you like to personalise your experience and help you push yourself. There’s a video option to see Ellie perform a demo of each move if you’re not sure how to do it.